Nobel Prize Laureate Albert Camus is associated with existentialism, but he was really a determined foe of all totalitarian “isms.” He is also closely linked to his Algerian birthplace, with good reason. In addition to his celebrated novels The Plague, The Stranger, and the posthumously published but still quite good The First Man, Camus’s most anthologized short story, “The Guest,” is also set in Algeria. Screen-writer-director David Oelhoffen thoughtfully but not entirely faithfully adapts Camus’s story as Far from Men (trailer here), which opens this Friday in New York, following its U.S. premiere at the 2015 Tribeca Film Festival. Daru is a former military officer trying to make amends for his mysterious past by serving as a school teacher in a remote village. The meditative life seems to suit him, but it will be rudely interrupted by Balducci, the gendarme. Whether he wants to or not, Daru has been tasked with escorting Balducci’s Algerian prisoner to the nearest French outpost in Tinguit, where he will likely be executed. That night, Daru makes it clear to the man named Mohamed, he is welcome to escape at any time. However, the admitted murder seems perversely intent of facing French justice. He does indeed have his reasons, which constitute some unusually smart writing on Oelhoffen’s part. Unfortunately, Mohamed family did not have the blood money to buy peace after he justifiably killed his cousin. As a result, Daru will find himself in the middle of an intra-family feud, as well as increasingly violent uprising led by many of his former Algerian army colleagues. Fortunately, Daru is a crack shot with a rifle, because he will have to shoot his way out of a lot of trouble. 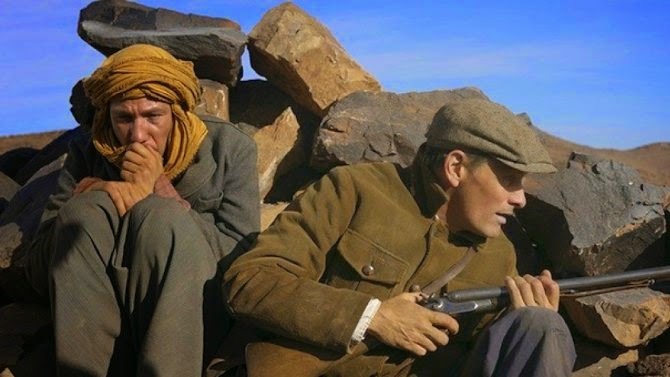 Essentially, Oelhoffen trades the icy cold irony of the Camus story for the tragic sweep of a revisionist Algerian western. Cinematographer Guillaume Deffontaines fully exploits the craggy terrain’s epic big sky country possibilities. After playing the Gloomy Gus in self-consciously arty films like Jauja and Everybody has a Plan, Viggo Mortensen finally finds the right vehicle for his simmering tough guy intensity. It also further burnishes his polyglot chops, this time showcasing him in French. Reda Ketab’s performance as Mohamed is almost too impassive as Mohamed, but it still sort of works for a pseudo western, in the moody Anthony Mann tradition. Frankly, Far from Men is exactly the kind of film the pretentious Jauja should have been, but so wasn’t. It critically engages with a lot of hot button issues, including colonialism and tribalism, but never at the expense of its lean and mean narrative. 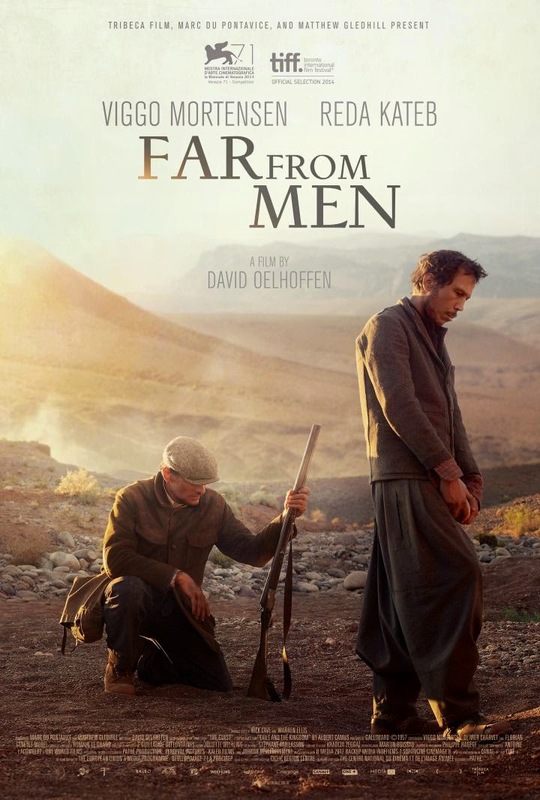 Visually striking and tightly disciplined, Far from Men is recommended for fans of Mortensen and historical drama when it opens this Friday (5/1) in New York at the Cinema Village, following hard on the heels of its well-received screenings at this year’s Tribeca Film Festival.